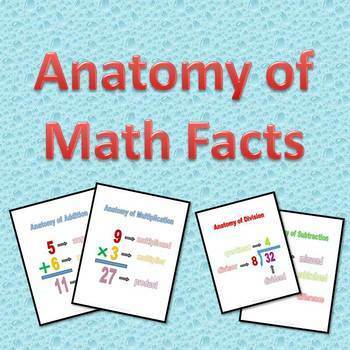 Here are some [posters] that show examples of the basic math fact terms. 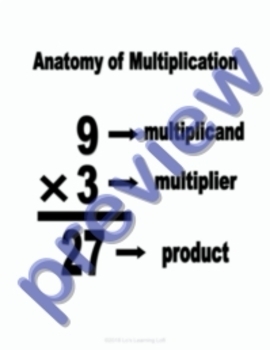 For addition: augend, addend, and sum. For subtraction: minuend, subtrahend, and difference. 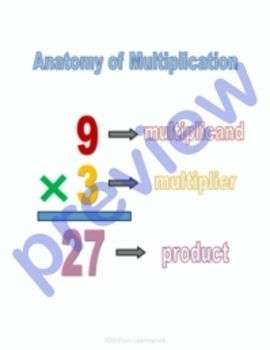 For multiplication: multiplicand, multiplier, and product. For division: dividend, divisor, and quotient. I made 5 color-coded sheets as well as 5 black and white sheets for your convenience. There are 10 sheets in all.